Vienna (AFP) - OPEC's announcement that it is keeping crude output levels unchanged again, despite a collapse in oil prices, reflects the growing influence of booming US shale but analysts say the cartel is still the dominant player. The 12-nation Organization of Petroleum Exporting Countries (OPEC) switched its production strategy in November in order to push down prices and hurt high-cost US shale producers, who need elevated prices to make their operations profitable. OPEC ditched its traditional role of supporting higher prices to boost revenues, and instead left its output ceiling unchanged at 30 million barrels per day (mbpd) -- despite the collapsing oil market and a stubborn global supply glut that is fuelled partly by US shale. The policy was extended last Friday when the cartel of producers from Africa, Latin America and the Middle East decided to leave the taps open, sparking questions from some quarters about the increasing influence of US shale on the oil market. OPEC's dozen members pump a third of the world's crude oil. "OPEC members continue to play a key role in the current conditions of the oil market," said senior energy analyst Myrto Sokou at the Sucden brokerage in London. "We cannot necessarily say that OPEC is losing its price influence on oil prices to the US shale production. OPEC still has very significant influence over the current crude oil prices. "However, the US shale oil production continues to increase strongly during the last few months and it is definitely something we need to keep an eye on in the near term." The United States has significantly ramped up its production of oil extracted from hard-to-reach shale, or sedimentary rock, now producing 5.0 million barrels per day, making the country far less dependent on imports from the crude-rich Middle East. But Capital Economics commodities analyst Thomas Pugh also downplayed talk that the US shale boom could weaken OPEC's standing. "I don't think it's fair to say that OPEC is losing influence to the United States," Pugh told AFP. "Production in the two regions is managed very differently. OPEC can take strategic decisions to manage output to manipulate prices, whereas US production is controlled by hundreds of small firms who manage production based on market conditions." He added: "Obviously OPEC as a group still controls a much larger share of the market than the US, but if the US could act as one oil producer, in the same way that the Gulf states do, it would make it significantly more powerful." Fawad Razaqzada, technical analyst at trading website FOREX.com, conceded that the cartel was less powerful than it used to be, due in part to strong oil output in non-OPEC member Russia, but it still remained a "dominant force". "OPEC is clearly in defence mode as it tries to maintain market share by pumping more oil than is needed," Razaqzada told AFP. "The cartel is losing some influence to the US shale oil market and to a lesser degree Russia, but it still remains a dominant force -- just not as powerful as before." Over the past five years, the United States has enjoyed a shale oil and gas boom, revolutionising the global energy sector but adding to the global glut that has plagued the market. That boom caught OPEC ministers by surprise, Iraq's Oil Minister Adel Abdel Mahdi admitted in Vienna on Friday. "We were two years late on evaluating shale oil, that's why it came almost as a shock," Abdel Mahdi told reporters. "It should not have been a shock given that we knew they were working on (extracting) shale oil. Now this is the reality and we have to take it into consideration." In recent years, OPEC has shrugged off talk that the US shale energy revolution would weaken the influence of the cartel but ministers changed tack last week, arguing that it was a phenomenon that was to be welcomed as part of the global energy landscape. 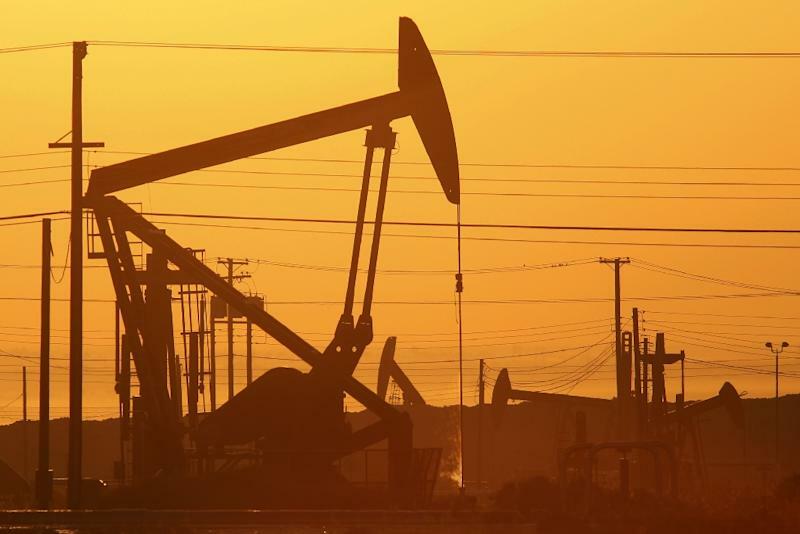 Plagued by demand worries and oversupply, the oil market collapsed 60 percent between June 2014 -- when West Texas Intermediate (WTI) crude stood at about $106 per barrel -- and late January, when it hit a six-year low of under $45. Prices have since recovered, but only to around $60, but analysts argue shale oil exploration is still profitable at this level. "It has been a remarkable revolution in the United States," said Chevron chief executive John Watson last week. "We are producing close to 5.0 million barrels per day that no one expected, and shale oil will be a balancing mechanism to some degree over the next few years."